A medical oncologist by training, Tait Shanafelt, MD, is Stanford Medicine’s first chief wellness officer and a leading researcher on physician burnout and its impact on quality of care, access, and physician availability. In a 2015 study that he co-authored, Dr. Shanafelt and his colleagues reported that burnout and satisfaction with work-life balance in U.S. physicians worsened from 2011 to 2014. In fact, more than half of all U.S. physicians, the researchers wrote, are now experiencing professional burnout. That’s not good for physicians, and it’s certainly not good for patients. In this opening keynote, Dr. Shanafelt will address the factors – including the rapid, often overwhelming introduction of health IT, including EHRs – that contribute to burnout and what must be done to recalibrate physician work-life balance and, concurrently, improve the quality of patient care. A medical oncologist, Dr. Shanafelt has distinguished himself as a leading researcher on physician well-being and its impact on patient care. He is the director of the Mayo Clinic of Medicine Program on Physician Well-being, a clinical laboratory evaluating personal and organizational factors affecting physician satisfaction and performance. He will discuss personal and organizational factors that can be modified to promote the well-being of health professionals. 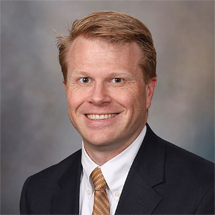 Prior to his move to Stanford, Dr. Shanafelt joined the faculty of the Mayo Clinic Division of Hematology in 2005 and was a Professor of Medicine and Hematology. He completed a 3-year term as the President of the Mayo Clinic Voting Staff. Dr. Shanafelt spent 70% of his time developing new therapies for the treatment of chronic lymphocytic leukemia. He was the principle investigator on two R01 grants from the National Cancer Institute and was also the PI on numerous clinical trials testing new treatments for patients with CLL. He has published >300 peer review manuscripts in addition to more than 100 abstracts and book chapters.